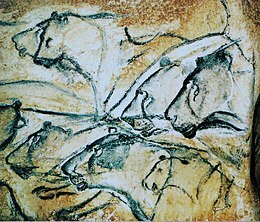 The animals depicted are prey sought by the Paleolithic hunters, such as reindeer, horses, bisons, mammoth, the woolly rhinoceros, and birds,[clarification needed] as well as apex predators such as lions panthers or leopards, hyenas and bears. 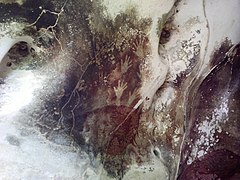 Matobo National Park, Zimbabwe, has many rock paintings. 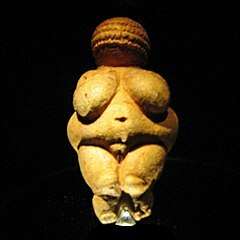 The oldest examples to 7,000 years ago, possibly as early as 13,000 years ago, while the bulk were likely produced between c. 1,700 and 1,500 years ago. 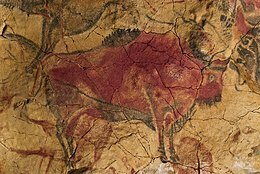 Petroglyphs in North Africa such as those at Tassili n'Ajjer, Algeria, are dated to about 12,000 to 10,000 years old. 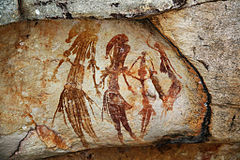 Petroglyphs in West Africa are younger, such as those of Bidzar, Cameroon, dated to after 3,000 years ago.